No sure if you have this, but you will need the clutch pedal starter switch. Without it your starter will not get a signal, my clutch pedal starter swicth is acting up and when I push the cutch pedal sometimes no signal is sent to the starter soleniod and the starter does nothing. So without this switch the starter will not get any electrical current. Im using an auto trans wiring harnes/cpu, i have no connections for any switch that may involve the clutch pedal. I believe you may need to swap out the auto transmission parts and use the manual transmission cpu and wirring harness. 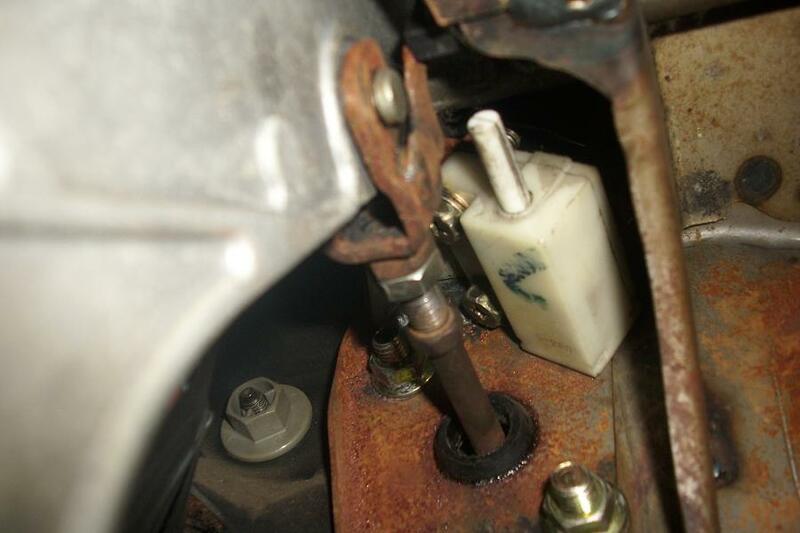 Also try grounding the starter wire in the engine block side instead of the tranmission side. If you are using a manual transmission you will need all the wire harnesses and maybe the ecu as well. Try this link and do some comparisons with the auto tranmission and manual tranmission starting and charging systems. There are some differences, I am not an expert, I am only speaking from my own personal experiences. Ok, keep us posted, I hope you get it started. I Need Help W/ Crank Angle Sensor Too! Crank Up The Stereo For This One!